Mr. Bodner graduated from the prestigious Vanderbilt University Civil Engineering School in May of 1979 and has been actively engaged in the development and management of apartment and retail properties throughout the Midwest ever since. In the early 1990’s the focus became exclusively multi-family developments. Mr. Bodner oversees all facets of the development, construction, and management process including the acquisition of property, design requirements, zoning, layout generation, pricing, and the construction of the physical improvements and property performance. Prior to joining SC Bodner, Bernie spent 25 years in commercial banking with The Northern Trust Company, Fifth Third Bank and US Bank. During his banking career, he focused exclusively on Commercial Real Estate lending and loan workouts. 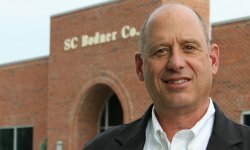 A graduate of the University of Pennsylvania and the University of Chicago, Bernie has overall responsibility for the financial and operating aspects of the SC Bodner Company business. Mike has been a leader in the residential real estate industry for over 25 years during which time he has been involved in all aspects of the land development process. Early in his career, Mike developed numerous award winning projects as a partner at Indianapolis-based SCM Development. Most recently, he has been involved in the planning and development of large-scale, master-planned communities in the western Carolinas, as well as resort properties in South America and The Bahamas. As Director of Development for SC Bodner, Mike is responsible for the sourcing, evaluation and zoning of land development opportunities throughout the company’s competitive market area. As a Development Associate, Owen works in conjunction with the Director of Development as a land acquisition specialist evaluating, underwriting, and acquiring multi-family development sites within the company’s competitive market area. Owen earned his Bachelor of Arts degree from DePauw University in Greencastle, IN. He discovered his interest in Commercial Real Estate Development while previously interning with SC Bodner. 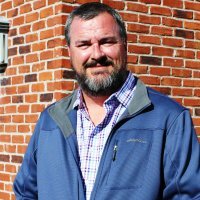 Mr. Meeker has nearly two decades of experience in the construction industry with a track record of extremely successful projects across the United States. He has managed a diverse portfolio of projects including: Multifamily (garden and infill), Commercial, Tenant Finish, High Rise renovation, Mid Rise new construction and renovation, and Hospitality. His background is in Construction Operations, where he has a history of creating processes and efficiency to bring projects from inception to completion. As the Director of Property Management for SC Bodner Company, Ms. Pendley oversees the daily operations of each of the communities. Michelle also assists with the management of the property management division within the company. Ms. Pendley graduated from the Kelley School of Business at Indiana University with a B.S. in Business Management. Ms. Pendley has worked in the multi-family housing industry for over a decade. Before joining the SC Bodner team, Michelle worked several years as an onsite property manager for a local Indianapolis property management company where she obtained several sales awards and company recognitions for outstanding achievements. Michelle is a Certified Apartment Manager through the National Apartment Association. Molly is the fourth generation Bodner to enter the real estate development business. Mrs. Marra is in charge of all Human Resource duties and also works diligently with the development, property management and strategic business planning teams. Mrs. Marra graduated with honors from Butler University with a Bachelor of Science in Marketing and a minor in Philosophy. Ms. Wagoner brings over fifteen years experience in construction accounting to SC Bodner Company. As a certified Public Account, Brenda is responsible for overseeing all avenues of accounting for the SC Bodner Company and all of its entities. Ms. Wagoner supervises all operations related to accounting and financing for all developments. She is responsible for internal budgeting, supervising highly-skilled accounting personnel, financial reporting, and assisting in strategic financial planning and decision making. She is a member of the Indiana CPA Society. As the contract administrator Ann is the liaison between the Accounting Department and the Project Management team. Ms. DeVries has eight years experience in the banking industry, six years managing the State Police Indianapolis District evidence laboratory, and 3 years in the construction industry. She graduated with honors from both Ivy Tech Community College with an A.S. in Business Administration with emphasis in Management and Anderson University with a B.S. in Organizational Leadership.